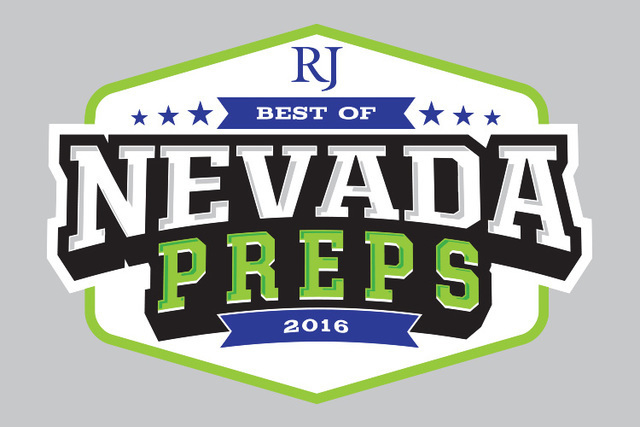 The Las Vegas Review-Journal announces its 2016 all-state boys track and field teams. 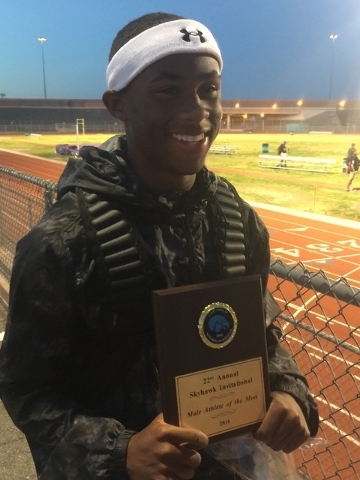 Matthew Arnold, Silverado: The senior won the triple jump with a mark of 48 feet, 4¼ inches at the Division I state meet, the best leap in the state this season. He helped the Skyhawks capture the team title. 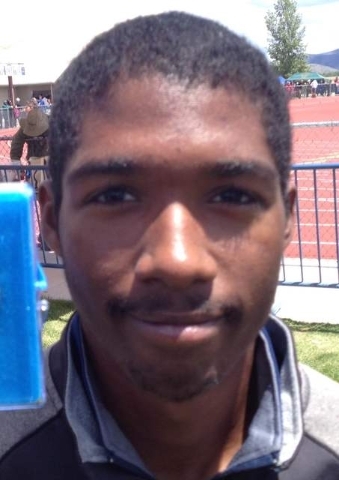 Devion Clayton, Silverado: The senior won the 100-meter dash at the Division I state meet with a time of 10.89 seconds. He also placed third in the 200 and ran on the 800 relay team that finished second. 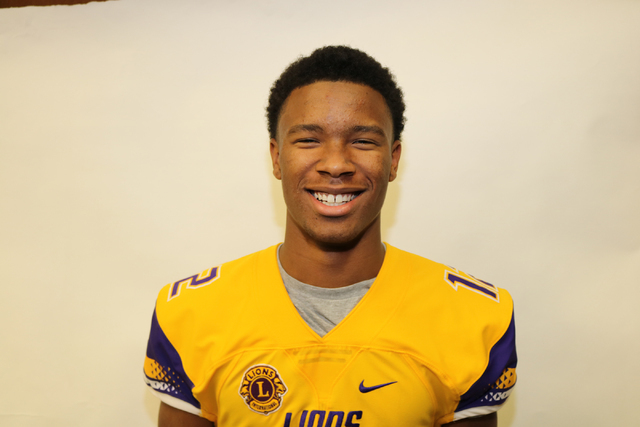 Frank Harris, Basic: The junior cleared 6 feet, 6 inches to win the Division I state high jump title, and also finished fourth in the 100-meter dash. Harris had the state’s best mark in the high jump this season, clearing 7 feet, 0¼ inches. 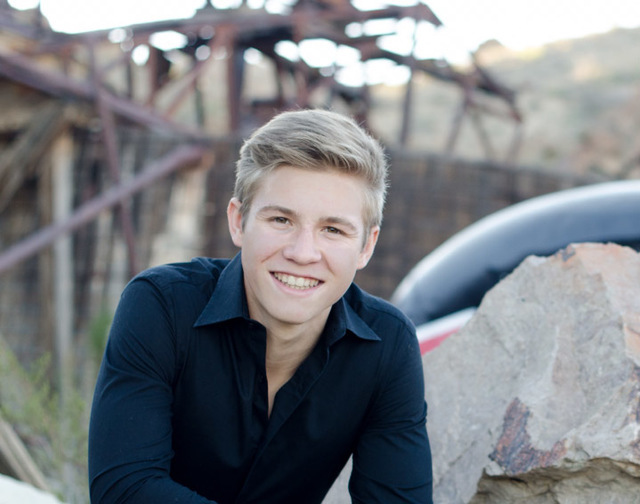 R.J. Hubert, Moapa Valley: The senior won two events and placed second in two more at the Division I-A state meet. Hubert won the 110-meter hurdles with a time of 14.62 seconds, the best time in the meet regardless of division. He also had a mark of 22 feet, 10 inches to win the long jump, and placed second in the high jump and 300 hurdles. 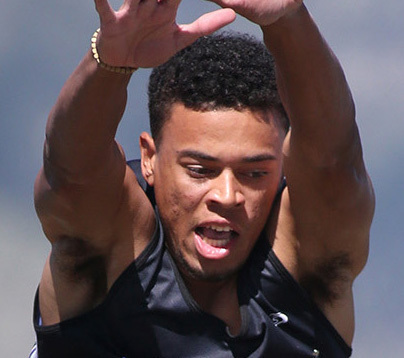 Tre James, Las Vegas: The senior won the 200-meter dash at the Division I state meet with a time of 21.99 seconds. He also second in the 100, just 0.003 seconds behind Silverado’s Devion Clayton. James helped Las Vegas to a third-place finish in the 400 relay and a fourth-place finish in the 800 relay. 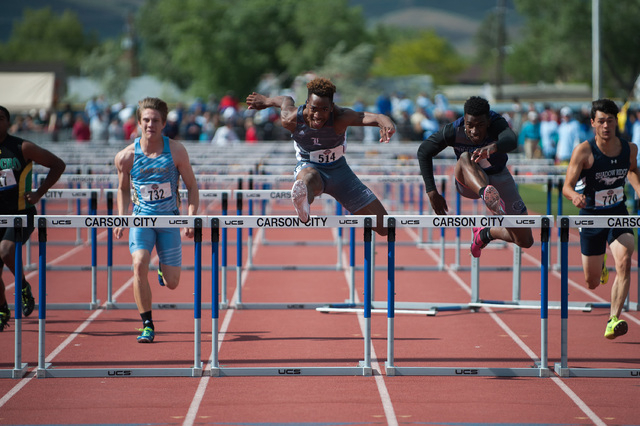 Savon Scarver, Centennial: The junior set a Division I state meet record in the 300-meter hurdles with a time of 37.83 seconds, the best time in the state this season. 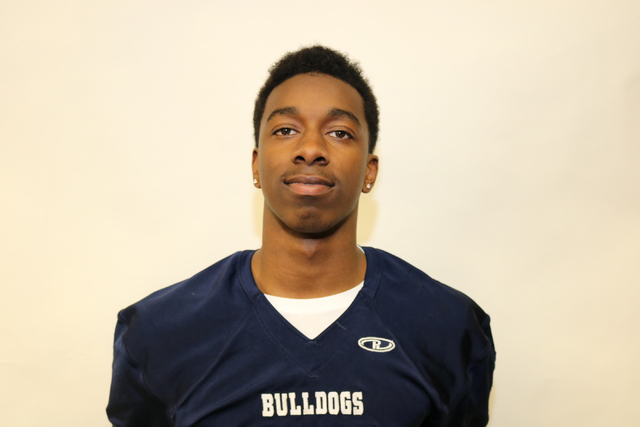 Scarver also placed second in the 110 hurdles and the 200 and ran on the second-place 800 relay team to help the Bulldogs to a second-place team finish. 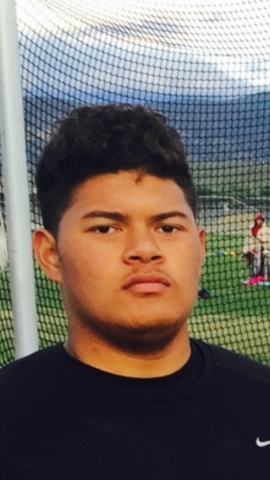 Nicholas Tapuala, Liberty: The senior won the Division I state title in the discus with a mark of 178 feet, 9 innches. Tapuala also finished second in the shot put. David Washington, Liberty: The junior won the 110-meter hurdles at the Division I state meet with a time of 14.84 seconds. Washington also placed third in the 300 hurdles. 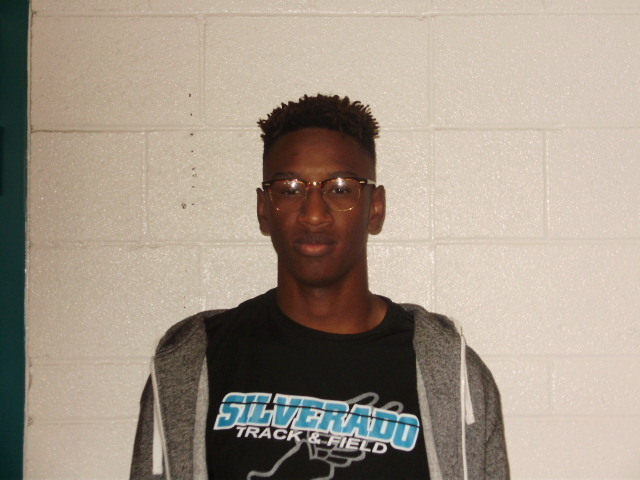 Zakee Washington, Silverado: The senior won the 400-meter dash with a time of 47.27 seconds at the Division I state meet. That was the state’s best time this season. Washington also ran on the second-place 1,600 relay team. 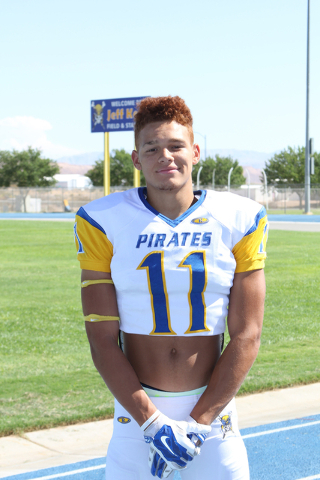 Kyrin Allen, Elko: The junior cleared 6 feet, 8 inches to win the Division I-A state high jump title. Allen also placed third in the long jump. 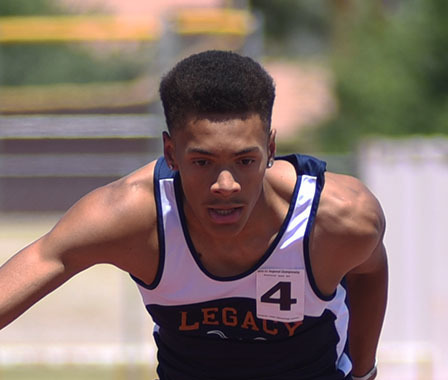 Jamal Britt, Legacy: The junior won the Division I state long jump with a mark of 22 feet, 9¼ inches. He also placed second in the 300 hurdles. 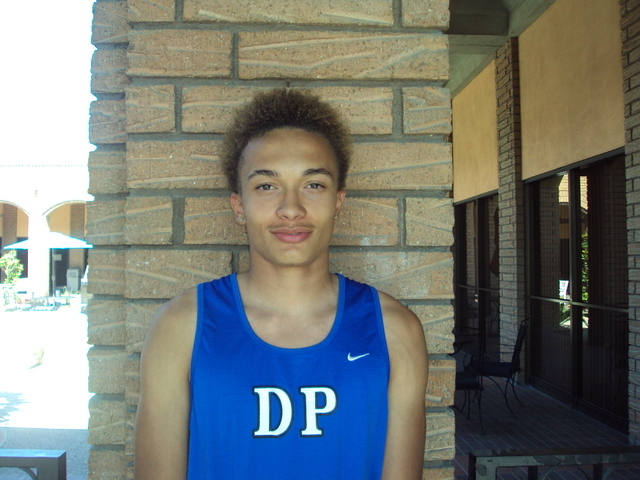 Amari Calvillo-Tatum, Desert Pines: The senior won the 200- and 400-meter dashes at the Division I-A state meet, and ran on the 1,600 relay team that set a meet record. Calvillo had a time of 22.58 seconds in the 200 and 49.35 in the 400. Devon Ecklund, Liberty: The senior cleared 14 feet, 9 inches to win the Division I state pole vault title. 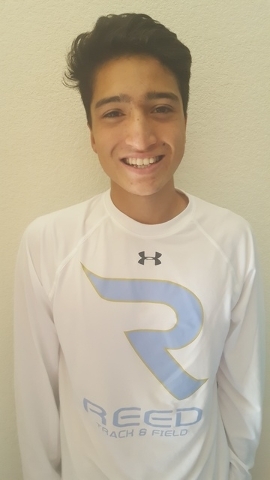 Ecklund cleared 15-2 earlier in the season, the best mark in Nevada..
Bryan Espino, Silverado: The senior won the 800-meter run with a time of 1 minute, 56.33 seconds at the Division I state meet. Espino also ran on the second-place 1,600 relay team. John Munyan, Douglas: The junior won the 1,600-meter run at the Division I state meet with a time of 4 minutes, 26.69 seconds. 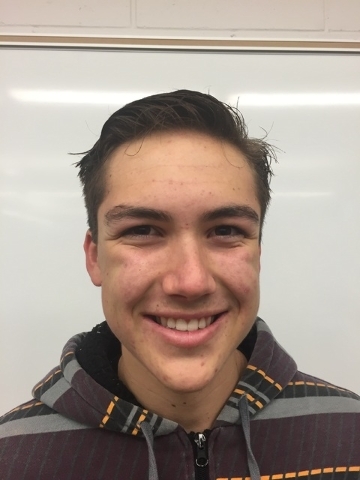 Reese Neville, Yerington: The senior earned four gold medals at the Division IV state meet. He won the 400 in 50.04 seconds, the 300 hurdles in 40.2 and the pole vault with a mark of 14-6. He also ran on the winning 1,600 relay team. Anthony Ocegueda, Reed: The junior had the state’s top times in the 1,600-meter run (4 minutes, 17.15 seconds) and 3,200 (9:14.76) this season. He won both events in the Northern Region meet, and finished second in the 3,200 at state. 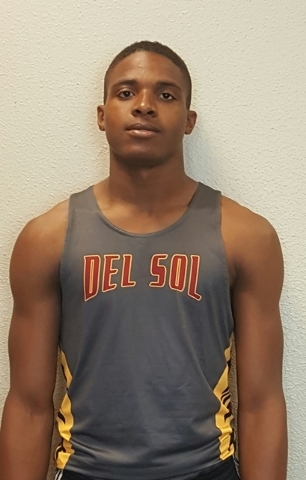 Jonathan Spearman, Del Sol: The junior won the triple jump at the Division I-A state meet with a mark of 45 feet, 7½ inches. He also placed second in the long jump and third in the high jump. 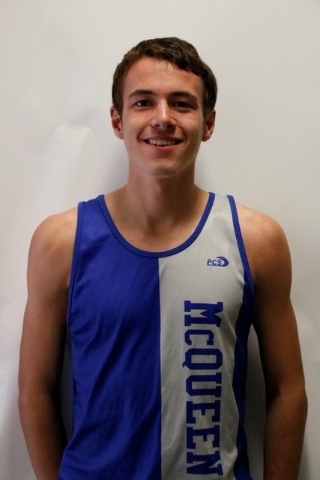 Henry Weisberg, McQueen: The junior won the Division I state title, finishing the 3.1-mile race in 16:31 and helped the Lancers to the team title. He also won the Northern Region meet in 16:57. 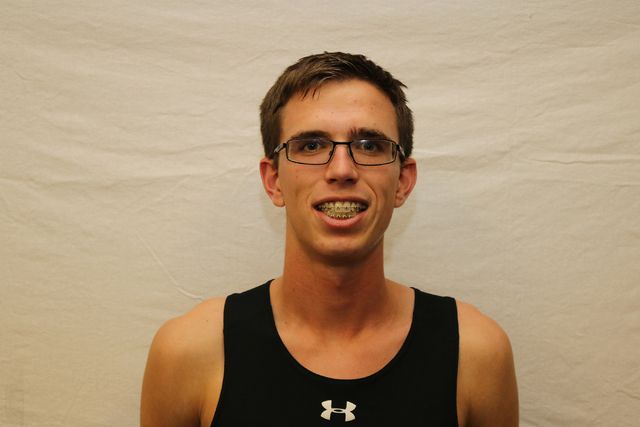 Chase Wood, Faith Lutheran: The senior won a pair of individual distance titles at the Division I-A state meet. Wood won the 1,600-meter run in 4 minutes, 29.78 seconds, and took the 3,200 in 9:57.64. 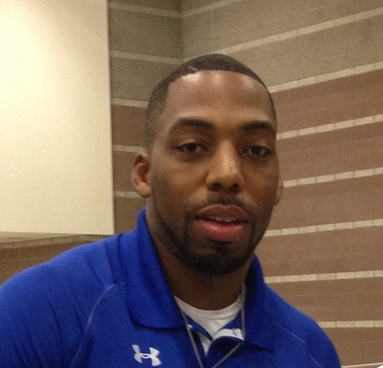 Dwayne Walker, Desert Pines: Walker, the team’s co-coach, led the Jaguars to their first boys state title. He was named the Division I-A Southern Nevada Boys Coach of the Year. 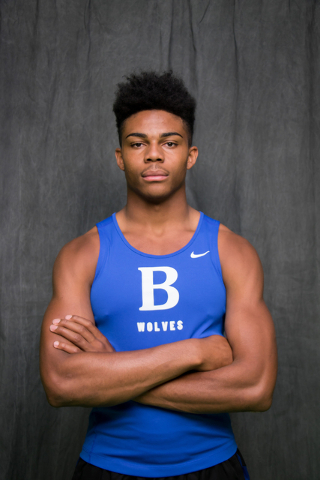 The senior won the triple jump with a mark of 48 feet, 4¼ inches at the Division I state meet, the best leap in the state this season. He helped the Skyhawks capture the team title. The senior won the 100-meter dash at the Division I state meet with a time of 10.89 seconds. He also placed third in the 200 and ran on the 800 relay team that finished second. The senior had the top mark in the discus regardless of division at the I-A state meet. 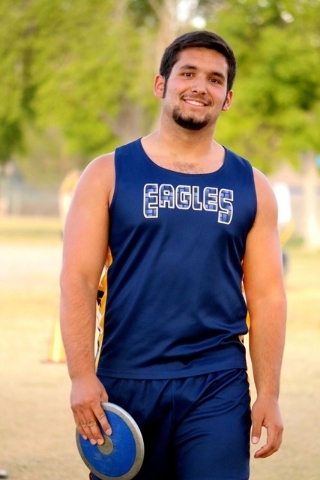 He won with a throw of 189 feet, 11 inches and also placed second in the shot put. The junior cleared 6 feet, 6 inches to win the Division I state high jump title, and also finished fourth in the 100-meter dash. Harris had the state’s best mark in the high jump this season, clearing 7 feet, 0¼ inches. The senior captured the Division I-A state title in the shot put with a meet-record throw of 60 feet, 1 inch, which was the best in the state this season. He also placed third in the discus. The senior won two events and placed second in two more at the Division I-A state meet. Hubert won the 110-meter hurdles with a time of 14.62 seconds, the best time in the meet regardless of division. He also had a mark of 22 feet, 10 inches to win the long jump, and placed second in the high jump and 300 hurdles. The senior won the 200-meter dash at the Division I state meet with a time of 21.99 seconds. He also second in the 100, just 0.003 seconds behind Silverado’s Devion Clayton. James helped Las Vegas to a third-place finish in the 400 relay and a fourth-place finish in the 800 relay. The junior set a Division I state meet record in the 300-meter hurdles with a time of 37.83 seconds, the best time in the state this season. Scarver also placed second in the 110 hurdles and the 200 and ran on the second-place 800 relay team to help the Bulldogs to a second-place team finish. The senior won the Division I state shot put with a throw of 59 feet, 2¾ inches. Schulz also placed second in the discus. 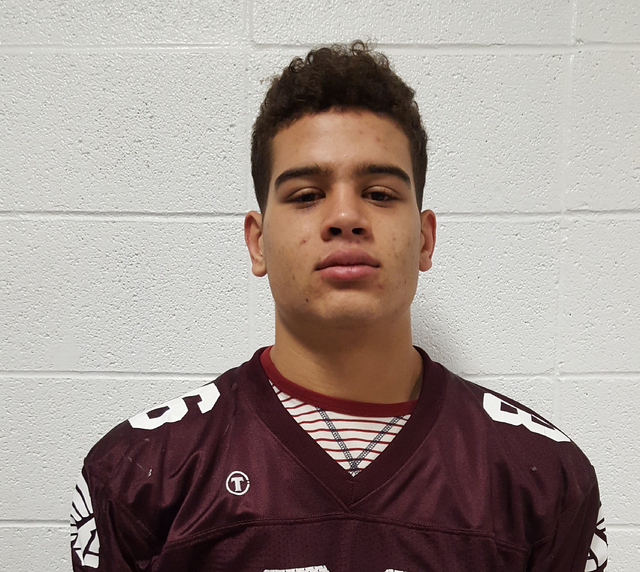 The senior won the Division I state title in the discus with a mark of 178 feet, 9 innches. Tapuala also finished second in the shot put. The junior won the 110-meter hurdles at the Division I state meet with a time of 14.84 seconds. Washington also placed third in the 300 hurdles. The senior won the 400-meter dash with a time of 47.27 seconds at the Division I state meet. That was the state’s best time this season. Washington also ran on the second-place 1,600 relay team. The junior cleared 6 feet, 8 inches to win the Division I-A state high jump title. Allen also placed third in the long jump. The junior won the Division I state long jump with a mark of 22 feet, 9¼ inches. He also placed second in the 300 hurdles. The senior won the 200- and 400-meter dashes at the Division I-A state meet, and ran on the 1,600 relay team that set a meet record. Calvillo had a time of 22.58 seconds in the 200 and 49.35 in the 400. The senior cleared 14 feet, 9 inches to win the Division I state pole vault title. 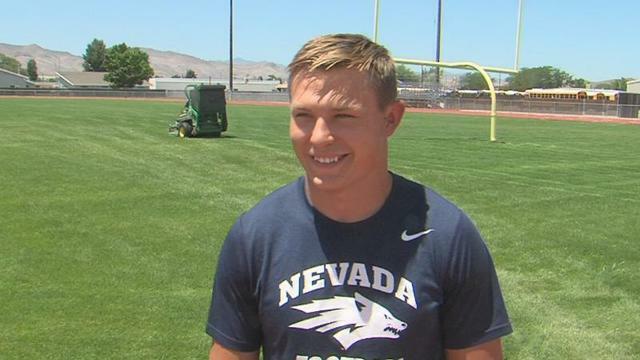 Ecklund cleared 15-2 earlier in the season, the best mark in Nevada.. The senior won the 800-meter run with a time of 1 minute, 56.33 seconds at the Division I state meet. Espino also ran on the second-place 1,600 relay team. The senior had the best long jump at the state meet regardless of division, posting a mark of 22 feet, 11¾ inches to win the Division IV title. He also won the triple jump with a jump of 43-11½ and was second in the 100. The junior won the 1,600-meter run at the Division I state meet with a time of 4 minutes, 26.69 seconds. The senior earned four gold medals at the Division IV state meet. He won the 400 in 50.04 seconds, the 300 hurdles in 40.2 and the pole vault with a mark of 14-6. He also ran on the winning 1,600 relay team. The junior had the state’s top times in the 1,600-meter run (4 minutes, 17.15 seconds) and 3,200 (9:14.76) this season. He won both events in the Northern Region meet, and finished second in the 3,200 at state. The junior won the triple jump at the Division I-A state meet with a mark of 45 feet, 7½ inches. He also placed second in the long jump and third in the high jump. The junior won the 3,200-meter run at the Division I state meet with a time of 9 minutes, 38:84 seconds. He also placed fourth in the 1,600 and ran on the second-place 3,200 relay team. The senior won a pair of individual distance titles at the Division I-A state meet. Wood won the 1,600-meter run in 4 minutes, 29.78 seconds, and took the 3,200 in 9:57.64. Walker, the team’s co-coach, led the Jaguars to their first boys state title. He was named the Division I-A Southern Nevada Boys Coach of the Year.